Though "the kids" might know him as the "Iron Man 3 guy," Shane Black has been making buddy cop action films since the 80s. Moviegoers born before the current Superhero Era might recognize titles like Lethal Weapon, Last Action Hero or critical darling Kiss Kiss Bang Bang. 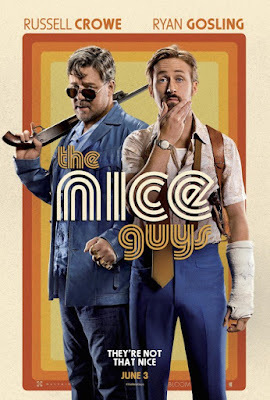 The Nice Guys finds Mr. Black returning to his over-the-top, tongue in cheek action roots. The film follows maladroit private detective Holland March, played by Ryan Gosling, who keeps the lights on by finding long lost relatives for senile retirees. March, whose name is likely a play on a Holly Martins from The Third Man, falls into a case bigger than he anticipated when tough guy enforcer Jackson Healy knocks on his door - and then knocks him out. It turns out the woman how hired Healy, played by Russell Crowe, is connected to a deaths in the adult film business, student protests and an industry that might be even shadier than adult films. It wouldn't be a buddy comedy if the two weren't mismatched opposites. It's a set up as old as the movies, and it works here too. March is a drunkard, but he's also family man. His daughter Holly, played by Angourie Rice, tags along and often discovers clues for him. Despite having a licence, March has no problem bending the law. Healthy is the stoic to March's motormouth. He works under the table, but has a strict adherence to professionalism. The Nice Guys has a very dry humor, mixed with slapstick that should bode well for repeat viewings. The case itself can be difficult to follow at times, as the two bumble their way across 1970s Los Angeles. To some extent the case is an afterthought, with the goal being to get the heroes from one gag or action set piece to the next. Was it mentioned that Healy lives above a comedy club? Yeah, it's that kind of film. It has no relation to reality, but it's "cool." Unfortunately, there is some content that prevents this reviewer from wholeheartedly endorsing the film. There are moments when several child actors are subject to extremely crude, "Hard R" content. It is in bad taste, and it makes it impossible to recommend Nice Guys wholesale. It's hard to say what the actors were or weren't exposed to on set, but it's uncouth to say the least. 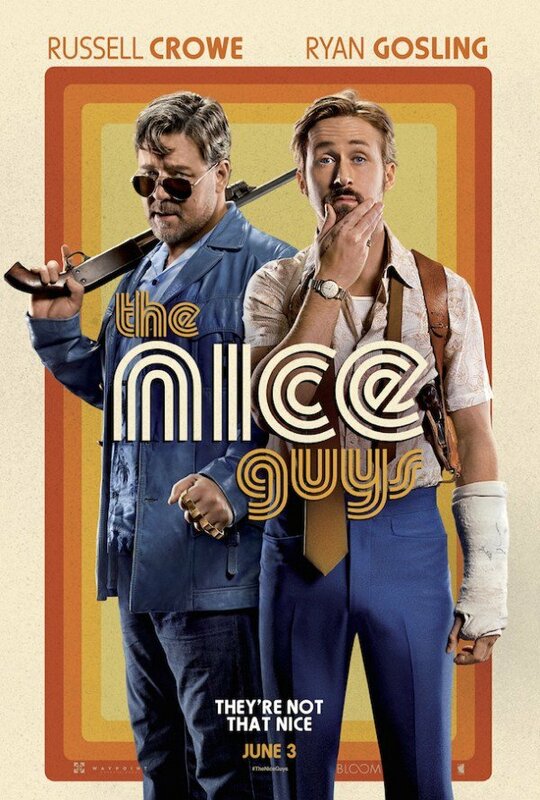 If not for that content, The Nice Guys would be perfection of genre. It would be impossible to call it "a breath of fresh air" because it's plays on so many noir and buddy cop tropes, but it uses and subverts them in all the best ways. There are elements of Chinatown, The Big Lebowski and even Black's own Lethal Weapon present here. It's a movie lover's movie, and who doesn't love that?